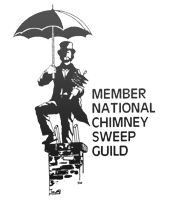 Wisconsin Chimney Technicians has the top chimney sweep specialists in the Wales area. 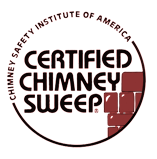 With over 30 years of experience and ongoing training, our CSIA certified Wales chimney specialists provide the best services from cleaning and inspection through repairs and rebuilding. Whether you’re looking for a yearly chimney inspection to ensure top performance or your chimney needs a hefty rebuild, our highly qualified, friendly staff is here to help. Routine chimney maintenance is important to prepare your home for a frigid Wisconsin winter. If you’re seeking the best chimney services, trust Wisconsin Chimney Technicians top workmanship and expertise to keep your chimney operating to the highest degree. See 100% REAL chimney sweep reviews from homeowners in Wales, WI! Your home needs to stay warm and comfortable during the long winter, so it is important to keep your chimney in working order. Heavy chimney use is typical in Wisconsin and a common side effect is the natural buildup of soot, creosote and debris. If neglected, this buildup can be harmful to the inner workings of the chimney and pose a fire hazard. The best way to prevent potential issues caused by a dirty chimney is to have it heavily cleaned every year. Our Wales chimney cleaning specialists provide a comprehensive annual chimney cleaning to ensure your chimney remains in superior shape. Schedule your annual Wales chimney cleaning with the experts at Wisconsin Chimney Technicians to ensure top chimney performance. Wisconsin Chimney Technicians is the industry leader in chimney repair and rebuilding. Whether your chimney has minor cracks or large breaks, it is important to take care of all damage to prevent costly future repairs. Even the most minor damage can become worse and our Wales chimney repair experts provide thorough rebuilding and repair services to ensure your chimney is restored to new condition. From minor leaks to flue repair to a full-fledged rebuild, our Wales chimney repair specialists take care of all damage to keep your chimney running smoothly and prevent potential issues. If your chimney has suffered damage, let our repair experts at Wisconsin Chimney Technicians repair your chimney and ensure long lasting performance. In Wisconsin, heavy chimney use is typical due to our extra-long winters. An overworked chimney often suffers from a buildup of soot and other byproducts. Without an annual cleaning, this buildup can damage the interior of your chimney and result in severe problems including the ventilation of smoke and harmful gases into your home. If your chimney interior has suffered and requires repair, our Wales chimney repair experts provide an alternative solution to a chimney rebuild. We can restore the inner workings of your chimney by installing a high quality aluminum insert. This insert is less costly and provides superior performance to keep your chimney operating properly. If your Wales chimney interior is in need of relining, let the professionals at Wisconsin Chimney Technicians offer a quality solution to allow your chimney to heat your home for years to come. Wisconsin Chimney Technicians is here to confirm your chimney is ready to take on the lengthy Wales winter. An annual inspection is important to detect potential issues and ensure all parts of the chimney are working properly. Our Wales chimney inspectors offer a comprehensive investigation of every chimney aspect from the inside out. After inspection, the technician will discuss any findings and advise on the next steps to take regarding current or impending problems. Don’t let underlying issues cause a problem this winter, schedule an annual inspection from our Wales chimney specialists to be sure your chimney is in top shape. Our Wales chimney specialists utilize our vast expertise to provide a premium dryer vent cleaning service. Lint filters don’t always catch all lint and it can clog the dryer vent. A clogged dryer vent prevents proper airflow and keeps the dryer from working properly. The trapped lint can become a fire hazard, energy is wasted due to an overworking dryer and clothes take much longer to dry. Our Wales dryer vent cleaning specialists provide comprehensive cleaning of the entire dryer vent to ensure maximum airflow for superior performance. If you suspect your dryer vent is clogged, let the dryer vent cleaning specialists at Wisconsin Chimney Technicians expertly clean the vent and confirm the dryer is back to working order. 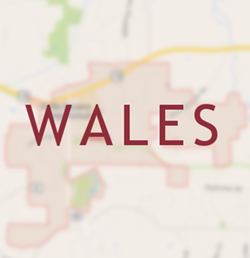 Contact our top Wales chimney service specialists for more information about our cleaning, rebuilding, repair, and inspection services.